Thank you so much for taking time to say “thank you” for the reblog! 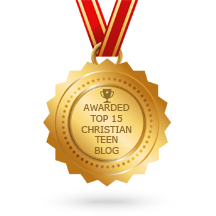 It was so perfectly beautiful and in the center of what I was contemplating posting on Christian Blessings, that I simple felt I MUST reblog it! Everyone seems to be enjoying it! So very inspired this post of your is! While the harvest may be great in itself… The preparation has it’s joys as well. These past few days the hoeing, augmentation and making ready has been our task. First because God makes it so in the introduction of sun into our rainy climate. Our peas with their little tails developed in the window sill we carefully placed today. Tomorrow He will provide a shower…..Everything in it’s own time. Ah. the predictability of it all.. Grace is that way is it not? Exactly, dear 4hispriase! God’s “grace garden” brings forth fruit and veggies and blossoms amonst us in the world in “it’s own time.”, each and every part of the harvest. HIS grace; HIS time! Hallelujah! Great post granbee, looking forward to the next one! writinggomer, so pleased you enjoyed this “gardening” post. God’s “grace garden” has infinity varieties of blooms! You are just a valued Christian brother! What WOULD I do without your encouragement? Praise Be to God for our worldwide Christian family! Dear ptl2010, thank you so much for all the beauty in your words sharing about your area flowers and shrubs! These night scents DO remind us of our Creator, so very gently, yet powerfully, all at the same time. Praise Be to God! Granbee, looking forward to your next instalment. We have many orchids and topical flowers in Singapore but they are not as seasonal and varied as those in the temperate countries. The bougainevillas in their many hues, the flame of the forest. the rose of India trees all imported, in their glory are what I like best when they do flower in the different hot or wet seasons. And I love the recognisable scent of the orange blossoms outside my window, when I awake just after the rain at night. They remind me of their Creator always.